Don't wait for something good to happen to you. Go out into the world with the intention to lift up the people around you and then see as good happens in return. Say to yourself this morning "I am a gift, my presence is my offering." Put a smile on your face and go into the world and give your joy away. Watch as you get joy back. Watch as the effect you have on others lights you up. No matter where you go, you get to be the loving gift others need. You get to be the reminder of a loving world. it was beautifully timed, as this whole idea of being present and offering my presence has been ringing through my life over and over this week: i've heard it through pictures, a podcast, emails, from friends, and (of course) in yoga classes. this blog is about offering presence. which is more than just being present. it's actually like double-presence: there's an extra amount of presence that you have to pull off to be able to reflect your presence and offer it to those in your life. my friend's brother made this. check him here! 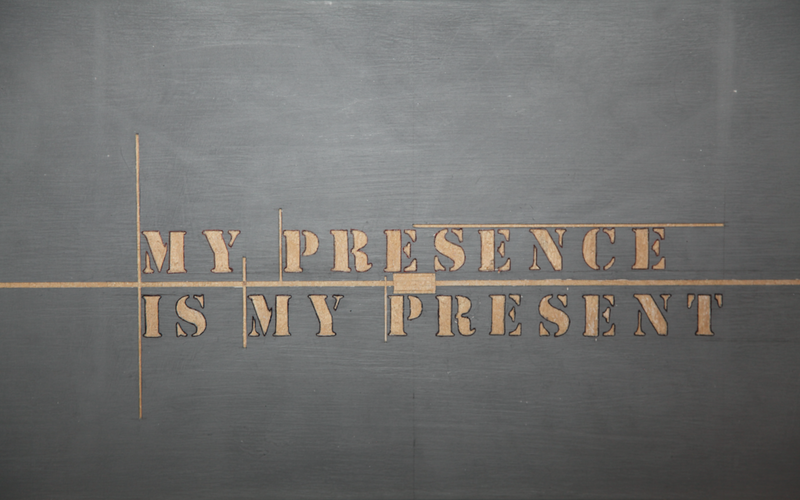 i taught a yoga class wednesday with this theme: we focused on this very idea of offering our presence as a present. we lit ourselves up with bouncy love so that it could be reflected back out into the lives of our loved ones that day. and we practiced re-wiring our thinking to think of ourselves in that way. and then, as i made my way through the day, i watched as the extra time i spent with a university student lit her up. i saw how when i stopped and smiled and chatted to an older doorman in front of a building downtown, he lit up. i found extra energy to make dinner for my friend that evening and watched him light up in return. i kept giving pieces of myself, and i watched it reflect light right back to me. so there were successes. there are successes. but. being so fully present in myself is ongoing work. friday night i was getting ready for a dinner out with friends, and i changed my clothes about seven times--maybe nine--because i felt so uncomfortable in my body; too big. trying to shrink is typical eating-disorder behavior. i can recognize that my beliefs are not based in reason.i can recognize that i'm not seeing what other people are seeing. i can recognize that i'm sabotaging my own presence. in that hour, i was pulling away from myself: shrinking is the opposite of fully inhabiting my body. i was pulling away from my friends: i was late in the offering of my presence. this mini struggle felt so uncomfortable to be present within. and it was the polar opposite of double-presence. i have one friend who continually reminds me of the value of his presence. i sometimes find this hilariously amusing. but mostly i'm completely in awe. his presence is on-point. 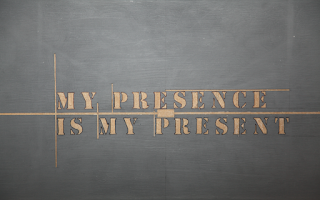 so my self-challenge and my holiday challenge to you, as things start to whirl around you, is two-fold: 1) be so fully present that you are double present, and 2) offer your presence. and then, see what happens.